Language in general and the ways in which specific words are used is fluid and open to change over time. Think of the way that ‘bad’ and ‘wicked’ have become accepted to mean ‘good’ and ‘cool’. One example that has recently started annoying me is the way that my children (and all their mates) say that two teams are ‘versing’ each other. I always thought that it was ‘versus’ as in Hawthorn versus Geelong. Or that the two teams were playing each other. My wife tells me that I am already sounding like an old man and to get over myself! You may have come across the term ‘trigger warning’ or that a person has been ‘triggered’. This term actually dates to the early post-traumatic stress studies that came out of WWI. It references the idea that reminders of trauma can trigger a debilitating physical, emotional and mental response. Over the last ten to twenty years it has become more and more common and can be seen in use when discussing substantial issues such as discrimination and racism. Well I am going to give it yet another use here; what reality is going to trigger you in to action in regard to your relationship with money? Seemingly innocuous transactions through a ‘have it now pay for it later’ system have begun to create a material negative impact on people’s finances such as their ability to get a home loan. The article linked above sights cases of people being turned down for a mortgage as they did not meet the banks servicing criteria because they had a live Afterpay account. The eye opening thing for me is that the women featured in the piece didn’t even need to use the Aftepay service as she had enough money to pay for her items outright. A well-meaning (although misguided) friend encouraged her to do so. Beyond the stated idea about the ease of spreading the payments the truth is that the process tacitly encourages us to spend more. The article linked below goes further, reporting that research shows that people using this modern lay-by equivalent will also buy more expensive items, possibly ones that they can’t truly afford. None of us want to be told directly what to do, especially if we know deep down that the thing that seems hard or that we can tell ourselves is unfair is in reality true and correct. I am constantly reminded that I get better behaviours and choices from my kids when they feel they have reached a decision on their own rather than me simply telling them that they must do something. I am not belittling the important issues that, when discussed, warrant a true trigger warning. I know that I am making an exaggerated point; I am doing so deliberately. However, we must listen to the facts that are being presented, and if they are coming to us from multiple sources and conveying corroborating information to us then we ought to listen. Lending criteria is getting tighter. We must be able to prove accurately that we can service loans. Spending less than you earn is an adage. 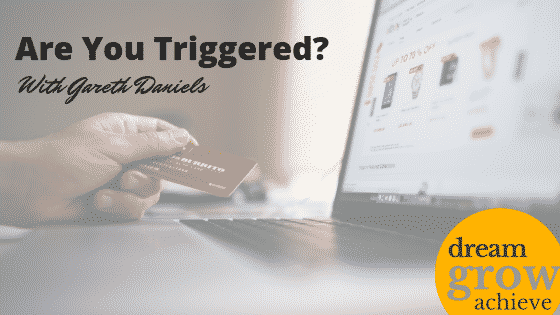 Paying for something on credit, or through a payment system that’s lets you have it right now even if you can’t afford it right now has never been a successful way to manage your spending habits and it will have a consequence as you move through life. It’s about a reality check. 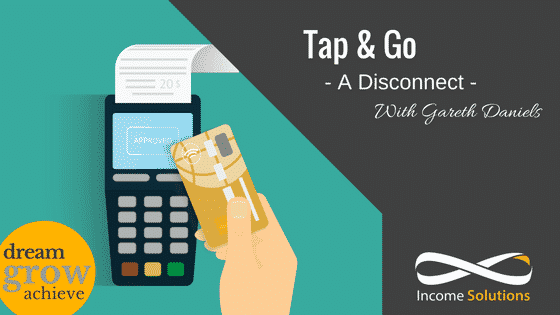 It doesn’t matter if it’s Afterpay or Zip Pay or a misuse of a basic credit card (insert your preferred method of buy now pay later here). It is recognising that it will have an impact on you. It may stop you from getting a home loan or you may get the loan but not at a competitive rate. It is pushing you further into debt and inducing all the stress that this causes. You may miss out on something that is truly to your benefit such as an important life experience or the ability to take a course that will further your career… whatever piece of information it takes to trigger you, lets take some action as you will be the beneficiary! Interest rates are staying on hold again. An interesting article on the 9 News finance webpage https://finance.nine.com.au/2018/12/04/12/05/ross-greenwood-analysis-why-interest-rates-have-been-on-hold-for-28-month provides some commentary and thoughts as to why this might be the case. It suggests that rates will remain on hold, to a greater extent, until the end of 2020 whilst acknowledging that this is an oddity given certain factors including a well performing economy and low(ish) unemployment. The reason that the article sights for the RBA not raising rates is falling house prices. It also notes that general rising living costs (fuel, power bills etc) means that households are under pressure to juggle all of their outgoings. Overall the piece links intertwined economic factors to paint a picture that some uncertainty lies ahead. We know that genuinely having an understanding of where your money goes is an incredibly powerful tool to help you feel confident about your current financial position and to enable you to make informed decisions about how to build for your future. In the past I have pulled my punches a little in encouraging people to put time and effort into a writing a budget and most importantly sticking to it. I’ve possibly even let them off the hook when they don’t engage with the task but most people dread the exercise. Well no more. There is no excuse not to do it. It isn’t even that hard. Consider two basic approaches. You can use historic information pulled from your bank and credit card statements to understand where the money has been going or you can consider yourself as a business and set a budget for the year ahead. The first approach can be a little time consuming, daunting and even painful (count the number of times Dan Murphy’s pops up on your statement and you will know what I mean)! It can allow you to take stock and adjust spending habits. It can even vindicate some of the discretionary spending that you have made as perhaps it wasn’t as bad as you feared! You are allowed to enjoy life, budgeting is not about restricting it’s about being honest with yourself and putting yourself in control. your debt to be come the end of the year; don’t simply settle for the minimum repayment that will satisfy the banks thirty year timeline. Again, include the fun stuff too so when you do have that dinner out or go to your friends birthday it can be enjoyed guilt free. Just be very clear on how much money is allocated to go where. It may be that I am an optimist, I like to not think blindly. There are genuine trials and tribulations in life and significant challenges that are thrown at us. It is fair though to think that we might develop the fortitude, and lean on available support where needed, to give us the capacity to step back and find the opportunity that exists within these challenges. A great client of mine lives with the mantra “everything is temporary”. I have no doubt that rates will rise again at some point, when and by how much I am not game to say. I am happy to say though that practical steps including setting a budget, tracking it and therefore sticking to it will go a long way to enabling you to get ahead on the repayments to your single largest barrier to creating meaningful wealth; your mortgage. Far from being restrictive, understanding your budget will provide you the chance to make the most of this current opportunity. These low rates, in the greater scheme of things, may well only be temporary. The cash rate has remained the same for “twenty-eight months straight” (a long time as the article intermates). However, put another way that’s just over 2 years or about one twentieth of your thirty-year loan term. To me low rates mean one thing, time to take control and time to get ahead! Firstly, the definition of an asset is something that pays you. The definition of a liability is simply something that you are required to pay for. Let’s take these definitions and apply it to our situation when we own a house. Even the government takes their slice of our property thanks to stamp duty – great! I now ask you, is your house truly an asset? Circling back to the age-old question in Australia: Is rent money, dead money? I’ll counter by asking: is interest payable to the bank dead money? So, assuming a 20% deposit, it is costing you $467 per week, or $24,288 per year, to live in a house with a perceived value of roughly $500,000. But is it? At Income Solutions we reasonably assume annual expenses (rates, maintenance, etc.) to average at least 1.5% of the property’s value each year. Therefore, throw around $7,500 on top of your existing $24,284. Roughly, on average, it will cost you a touch over $31,000 per year to run the house you own. Let’s say I rent the same house at an assumed rent price of $450 per week. This works out to be around $23,400 per year. And that is where my dwelling expenses stop. As a tenant, I have no obligation to pay any maintenance, rates or property management fees. This is the landlord’s responsibility. I simply pay my rent on time, and because my dwelling expenses are so low, I do not make a fuss when my landlord attempts to increase the rent by $20 a week every few years. As I pay on time and look after the place, the landlord is more than happy to keep re-signing me to 2-year lease agreements, providing me some security. Therefore, I pay $450 per week, compared to the landlords $611. This is where renting becomes interesting. I am paying $161 less than the landlord/homeowner per week, so let’s say I use this, add another $50 to equal the $211 the landlord pays in interest in year 1 of the loan and contribute this to a tax-effective income-producing asset, over the same 30-year period. Basically, the difference between what I pay in rent per week, and the total amount the landlord/homeowner pays to own the home per week. Assuming an annual return of a conservative 9.5%, (the Australian Share market has averaged a return of around 12.5% over the past 100 years) the power of compounding becomes your friend here, as my $211 weekly investment for 30 years would grow to a modest $2.9 million dollars. Again, this is a conservative figure, and it also assumes I never contribute more than $211 per week over the course of my working life. I’ll be 54 by this stage, and thanks to the Franking Credit system, this $2.9 million can reasonably produce me a cool, highly franked, beautiful income stream of approximately $178,000. Enough to retire, I think. At the end of the loan period, the homeowner is hoping the value of their property has grown to at least equal to the total amount spent on the property, which in this scenario is around $945,000. If they were 24 when they bought the home, they have finally paid it off at age 54. However, they have had to find more disposable income on top of their weekly $611, which has been swallowed by their house for 30 years, to contribute to some form of financial asset. They may own their house outright, but we know our house does not produce us any income, it actually asks us for a share of ours to service it. There is a potential that they will be examples of the typical ‘asset rich, income poor’ description we sadly see too often in this country. By renting and spending the same $611 per week, I can own an asset and not a liability. If I would like to own my dream home, I will simply withdraw the $945,000 from my investment and pay for it in cash, no interest paid to the bank. Furthermore, I’ll still have around $2mil producing me highly Franked income. Rather than paying interest to the bank, I’d rather get paid by the bank. 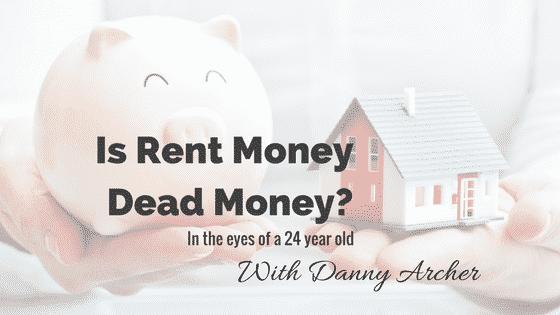 Now, is rent money dead money? *All figures are present value. This includes the P and I repayments, and the averaged costs of $7,500, broken down into a weekly figure. The interest payable will reduce over the loan term, however, the $467 will remain constant. Any advice in this publication is of a general nature only and has not been tailored to your personal circumstances. Please seek personal advice prior to acting on this information. The information in this document reflects our understanding of existing legislation, proposed legislation, rulings etc as at the date of issue. In some cases the information has been provided to us by third parties. While it is believed the information is accurate and reliable, this is not guaranteed in any way. Opinions constitute our judgement at the time of issue and are subject to change. Neither, the Licensee or any of the National Australia group of companies, nor their employees or directors give any warranty of accuracy, nor accept any responsibility for errors or omissions in this document. Before making a decision to acquire a financial product, you should obtain and read the Product Disclosure Statement (PDS) relating to that product. Past performance is not a reliable guide to future returns. Sounds simple, doesn’t it?! Hardly! 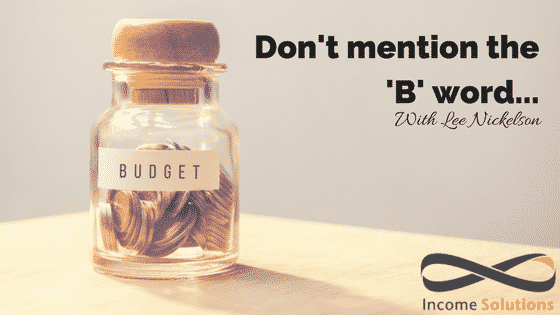 One of the most common hurdles I encounter with clients is gaining a full understanding of their spending – I estimate only around 25% of clients have a clear idea of where their money is being spent as most people dislike the idea of a budget. 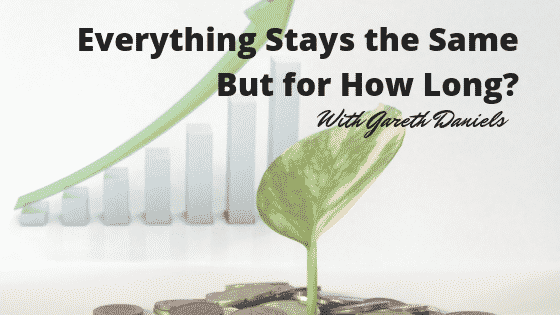 At a basic level, we have control over 3 facets of our ability to earn and maintain wealth – how long we work for, whether we invest to educate ourselves to increase our earning (income) potential, and…. this is often the hardest to manage… how much we spend. The benefits of having an idea of expenses in comparison to earnings are clear. You will gain confidence when future decisions on spending are made (yes, I can afford this holiday), you will be able to prioritise spending more easily (would I rather upgrade the car or pay the mortgage back 3 years faster) and you will avoid buyers’ remorse (geeze I shouldn’t have bought these shoes, I’m worried I can’t afford them). There are any number of budgeting and spending analysis theories, tools and programs online which can then be overwhelming. I find a great place to start for my clients is to get them to split their spending between Non-negotiable items and Negotiable items. What appears in each list may change from client to client (i.e. holidays may become negotiable for some, whilst Foxtel to watch the football may be non-negotiable for others). Once the Non-negotiable items list is complete, we minus this from net earnings. This leaves the amount of funds left over to cover the spending items under Negotiable column. This blue print allows the spending analysis to happen – is there enough left to fund the negotiable column? Is a rethink required regarding negotiable and non-negotiable items? Can money be saved on any of the line items (i.e. reviewing your Electricity bill / home insurance provider)? Am I saving enough off my mortgage to repay it before retirement? This analysis is also the confronting part – am I borrowing from my future to fund the lifestyle I am living today? Once the non-negotiable items are agreed and reviewed, it becomes as simple as dividing this figure by your pay cycle and setting aside this amount each period in a separate ‘bills’ account. Anything left over can be spent with the confidence and knowledge that you will have enough to cover your non-negotiable expenses. Unsure how to proceed? I’d be happy to help you review your spending. Please contact our Melbourne office to set an appointment. 1 Thornhill, P. (2003) Motivated money. Gordon, N.S.W. : Motivated Money. 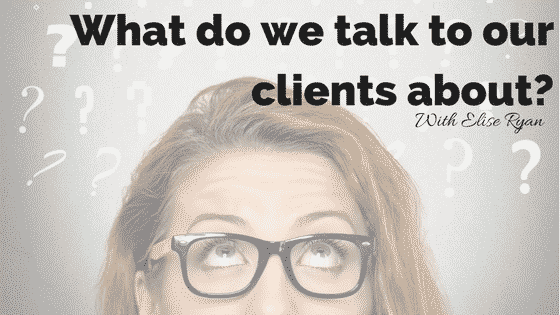 What Do We Talk To Our Clients About? The best investment you will ever make is in yourself, and we believe this investment is not only financially focused. At Income Solutions we encourage our clients to invest in education, health and fitness, career and following your goals. A big focus when talking to our clients is around their goals, what they want to achieve, and we work with them to build a strategy to help them achieve it. We try and make it easy, we know your goals don’t come to you in meeting with your advisor, for this reason we built the my.solutions application. This enables you to log in 24/7, even when you are on holidays, sipping cocktails by the pool and dreaming of what your future will look like, you can log into my.solutions, pop in your goals, and your advisor will be notified immediately. This allows your advisor to consider strategies before your meeting and help you get the most out of your appointments. Any advice in this publication is of a general nature only and has not been tailored to your personal circumstances. Please seek personal advice prior to acting on this information. The information in this document reflects our understanding of existing legislation, proposed legislation, rulings etc as at the date of issue. In some cases the information has been provided to us by third parties. While it is believed the information is accurate and reliable, this is not guaranteed in any way. Opinions constitute our judgement at the time of issue and are subject to change. Neither, the Licensee or any of the National Australia group of companies, nor their employees or directors give any warranty of accuracy, nor accept any responsibility for errors or omissions in this document. 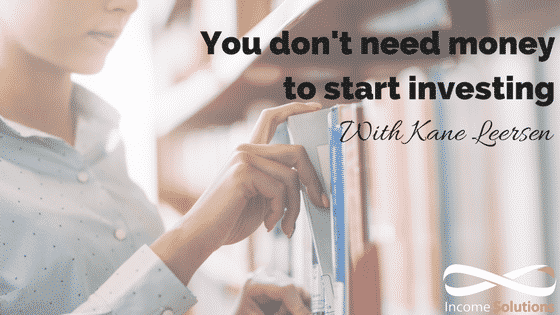 I regularly hear people stating that they do not have enough money to start investing. Anyone can start investing, right at this second. You don’t even need money to start investing. Sounds silly, doesn’t it? You might not believe me, but this is fact. Investing in yourself, your family and your future. Now before you start shaking your head and muttering that I have lost my marbles, bear with me and I will tell you how you can do this with three different ways, anyone can start investing, and by anyone, I mean anyone. Teenagers, parents, millionaires, grandmas and granddads. So no excuses because this applies to you. I will give you the strategies, but then it’s up to you to take responsibility. 1. Start investing in yourself. Now, this is the easiest and the hardest investment to make, it’s also the most rewarding and by far the most valuable. You can start nice and simple and slowly progress it from there. Your first investment in yourself is to finish reading this article. Open up your mind to different ideas and strategies. Go onto bookdepositry.com, amazon.com, dymocks.com.au, or pop into your local book store and purchase any book that piques your interest. Read what ever your heart desires. Personal development, sci-fi, autobiographies, finance, marketing. It doesn’t matter what it is, just read as much as you can. Learn from other peoples experiences, highlight words you don’t understand, write questions on the side of the page. The next step, when you are feeling ready, enrol in that course you always wanted to do. Make sure, no matter how long it takes you, finish that course. Then maybe find another course, never stop learning. Find yourself a mentor, someone doing something you have always wanted to do and ask them how they have done it, why they do it and what have they learnt from these experiences. Turn up to work early and tell your boss that you want to be the best employee that you can be. All of these little investments eventually add up and they make you the rare and valuable asset. Remember, every day we are going to work we are trading our time for money. By being the best that you can be, you will make your time as expensive as possible. Now that you have started investing in yourself you can start to invest some money for your future. Maybe you have received a payrise, or picked up a few extra shifts. To start investing money you do not need hundreds of thousands of dollars, you don’t even need thousands of dollars. Many of my clients start investing in the hundreds, the trick is to do it regularly, don’t try and be too clever and most of all ask for advice if you are not quite sure. I have recently purchased the 300 biggest companies in Australia, 300 of the biggest and brightest companies built by some of the best brains in Australia. The best part is, these companies are going to pay me to invest in them! Imagine, this investment returns around 10% for shareholders over the next five years. If I contribute $200 a week this means I will be investing $10,400 a year. On a 10% rate of return, I could have $69,842 invested in five years time. Not a bad investment, when we consider the early years of compounding returns are the hardest! In Australia it is compulsory for businesses to pay 9.5% of your wage into a superannuation account for your working life. The reality is many Australians don’t understand the impact of what our employers are doing for us. Many people haven’t consolidated multiple superannuation funds into one account. They don’t ensure that they have appropriate levels of insurance to protect their family if something goes wrong. They have no idea that they can invest in just about anything they want inside of their superannuation, no different to everyday life. Yes, inside super we can buy shares, we can buy property, we can have term deposits. We don’t have to rely on the default option. You can even put more money into superannuation to help it grow by salary sacrificing from your wage before you have paid tax. You can also contribute your inheritance after you have paid tax. So my challenge to you is to step up, and take charge. I don’t want any excuses. We all know life can be hard sometimes, but we also must be thankful that we are living through a period of time that has generously provided us with an abundance of wealth. Think of running water, electricity, employment, aviation and globalisation for example. So please master these three investments. Invest in yourself, start investing a little a lot and understand what your superannuation is doing. It is simple and incredibly effective. Fortunately or unfortunately, it requires discipline, commitment and understanding. 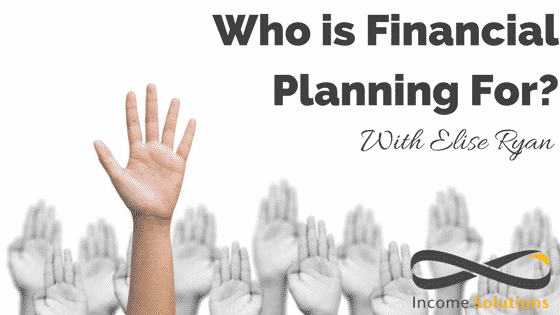 Who is Financial Planning For? Financial Planning really is for everyone. It’s a misnomer that you have to have a lot of money to see a financial planner. Your financial advisor will tailor your advice and strategies to your specific life stage and current situation. As you progress through different life stages your advisor will work with you to evolve your financial plan to suit your needs. We can review your current situation and put strategies in place around your superannuation, personal insurances, investments, debt management, retirement planning and estate planning. I really believe the best time to start is now, the earlier you get started the more potential there is to increase your retirement savings. Don’t leave it until you are ready to retire to get your finances organised. When? How Much? Where From? When? How much? Where from? These three questions are asked of all Income Solutions’ prospective clients, and from time to time, asked of our current clients as well. Let’s break down what we mean by these questions, shall we? 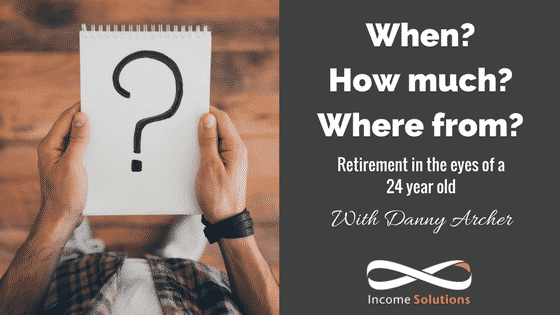 When would you like to retire? Do you have an age in mind where you would like to be able to clock off from a day’s work, never intending to return? How much income would you need to be able to live your desired retirement lifestyle? Finally, and in my opinion most importantly, where will this income come from? The first 2 of those questions are quite ambiguous and a bit of an unknown, particularly for a 24-year-old. So, I’ll use myself as an example. I have no idea when I would like to retire exactly. By that I mean I do not know the age when I would like to walk out of works door for the last time. I love my job, and hope to forge a long and successful career as a Financial Planner, however, we all must stop at some point, I am mindful of that. One goal of mine is to volunteer 2-3 days per week of my time in helping 2 charities very close to me: MND Australia/Fight MND and the Epilepsy Foundation. I would like to be able to retire at an age when I can be of some real value when I am volunteering my time assisting these great organisations; whatever age that is, I am not sure at this moment. I also have no idea how much income I will need to support my desired retirement lifestyle. The obvious answer you may be thinking is ‘as much as possible’. True, but let’s be realistic. I would like to have the affordability to travel overseas on an annual basis. Treat myself to some luxuries in life. Hopefully by then I will have a lovely family to spoil; maybe help pay the grandkids school fees; spend time tending to a little hobby farm I hope to one day have. Most importantly, I do want an absence of financial worry, an income stream I can’t outlive and I would be content if I could leave a meaningful legacy to those whom I love. Funnily enough, this is the definition of the term ‘wealth’ here at Income Solutions. Now question three, where from? This one is considerably less ambiguous and unknown because I have the capacity to be able to influence this variable of my future now. 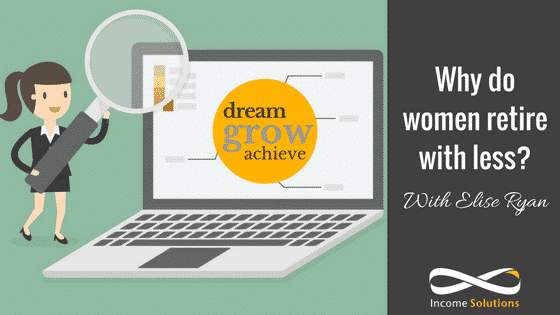 I do know that to be able to achieve my goals, I need to be in receipt of a passive income stream – preferably one that is reliable, replenish-able and in an ideal world, growing. So, as a prudent 24-year-old, I began to contemplate the best way I can generate the passive income I will need in retirement. To do this I decided to educate myself on the 3 true asset classes available to us all: cash, property and shares. The old folklore is that cash is safe. It can’t go anywhere; $100,000 today is $100,000 in 10 years. You may have lovely memories of Grandma or Grandpa telling you to put all your cash under the mattress and leave it there. The thing is that inflation ruins this because $100,000 today simply does not have the same purchasing power in 10 years. Plus, everybody knows how mediocre interest rates are now. This interest is the income produced by your cash. It is small, tax ineffective and can only grow if you contribute more cash to your account. This asset option is out. Then we have the Great Australian Dream: Property. This country is internationally notorious for being obsessed with property. Why? Because we can see and touch it every day. (The GFC was actually caused by the domestic property market in the US – not shares. I recommend you watch The Big Short if you haven’t already) We can drive our friends past our investment properties. We have a perception that because we can touch and feel them it is a safe investment. This is quite deceptive, however, due to the hidden costs associated with this asset. I recently attended a very well run property investment seminar just outside Geelong to educate myself on the stats. A $470,000 investment property in the estate had an average rental yield of about 4.4%. I also learned that for my property to have the best chance of being tenanted I needed to have things like 900mm benchtops, a 1 metre wide fridge space, a sound dishwasher, a microwave compartment and good-quality blinds. These might seem standard for a home, but I learned that without them potential tenants can walk away – which means no rental income for the investor and no passive income. Then, once you have found a tenant, you must hope they pay their rent on time for you to be paid your income. You must hope the hot water system and that sound dishwasher do not break because as the landlord, that’s coming out of your pocket. And in 10-15 years down the track, the walls need to be painted, the carpet updated and the oven replaced. There are types of insurances available to cover these, but, again, these are simply another expense. This asset is asking you to pay for it, rather than it paying you! Most importantly, the rental income you receive – like bank interest – is tax-ineffective. Once you deduct all those expenses from the rent, you need to pay tax on the balance at your marginal tax rate. These are all headaches I do not want to have whilst I am volunteering at one of my charities, or spending a few weeks away escaping the Victorian winter whilst I am retired. You might be reading this and are thinking to yourself something like ‘The capital growth seen with property over the past few years has been off the charts, why hasn’t he mentioned that?’ Good question. Yes, the capital growth of property is going bananas at the moment. Corresponingdly, as is the rapid rise in household debt. A home is worth what a buyer is willing to pay for it, which means whatever sum the bank are willing to loan to them. What happens when these record-low interest rates (which are already increasing) go up 1 or 2%? People are willing to pay less because the bank will give them less. So you’ll see a drop in the perceived capital value of property. Also, you cannot spend capital growth unless you sell. This brings in market timing risk, loads of transactional costs and is an issue I do not want to be worrying about when I need some cash fast. This asset option is out. Lastly, we have shares. Thanks to our friends in the media, the populous of this country have an ingrained fear of shares. ‘Share market crash’, ‘Sell while you still can’ and ‘Billions gone’ are all quotes you may have heard about the share market. The media paint horror stories out of anything to sell newspapers and increase viewership. Admittedly, the capital value of shares is volatile in the short term. We can thank the media again for that. If we can ignore this, and simply focus on the long-term and the income generated by shares – not their capital value – we start to see the true value they hold. Having attended Common Sense Investing at Income Solutions, I learned the Australian share market has returned an average of about 12.5% over the past 100 years. Last financial year, it returned closer to 14%. This was the same year we saw Trump elected president, potential nuclear war in North Korea, Brexit and continuing warfare in the Middle East. All the while, the companies of this country endeavoured to carry on business as usual, and made a lot of corporate profits. As a shareholder, these profits are distributed to you in the form of a dividend. You did not need to worry about the air conditioner at your investment property breaking. How enjoyable does getting a call on Sunday afternoon to fix a front window or the hot water service sound? Or having to make a call to your property manager asking why rent hasn’t been paid for 3 weeks. You simply lived your life as you would, and relied on the businesses of this country living theirs. This sounds like passive income to me. The clients that Gareth Daniels looks after, shared in over $850,000 of investment distributions this past financial year. Without putting in an ounce of effort or worrying about the state of their investment property. These investment distributions are a result of people paying their utility bill, filling their car up with petrol, shopping at Coles and even making the monthly trip to Bunnings to buy something to fix an issue at their investment property. All these things contribute to company profits. Most importantly, the income received as dividends is tax effective thanks to Paul Keating implementing the Franking Credit system. This is a real trump card for retirees; as they do not pay tax from an account-based pension in retirement! Now the prudent 24-year-old in me is thinking that this asset sounds good. It does sound like a passive income stream that is generated by human consumption and endeavour. If businesses in this country keep on keeping on, human consumption and endeavour will never stop. The only thing I need worry about in retirement is where in the world do I want to go to next? Why Do Women Retire With Less? Women are multi-taskers, we are terrific at juggling a family and career and we find it hard to say no when someone needs help but we often forget to ask for help ourselves. Essentially, women are living longer and spending more time in retirement than generations gone by. The time spent working in the last century has not changed dramatically, we are spending approximately 40 plus years working towards retirement. However, we are living longer and spending twice as long in retirement than our predecessors, so we have to stretch our retirement funds and superannuation for 35 plus years. But it’s not all doom and gloom, there are strategies that we can put in place to help us build a strong retirement fund and a passive income that will see us through our retirement. We believe education is the best place to start, attending one of our Income Solutions for Women events is a no obligation information evening that will show you some of the tools that can be put in place to achieve this goal.